Earlier this week, I was told that I reminded someone of the character Sheldon Cooper, from the sitcom “The Big Bang Theory.” I said I have only seen the show a few times, but I had seen enough to know that wasn’t quite a compliment. There is a huge difference between knowing a lot and being smart, and I know I have, at least, some social skills, as I had to have a conversation with someone for this stink-bomb of information to come up. 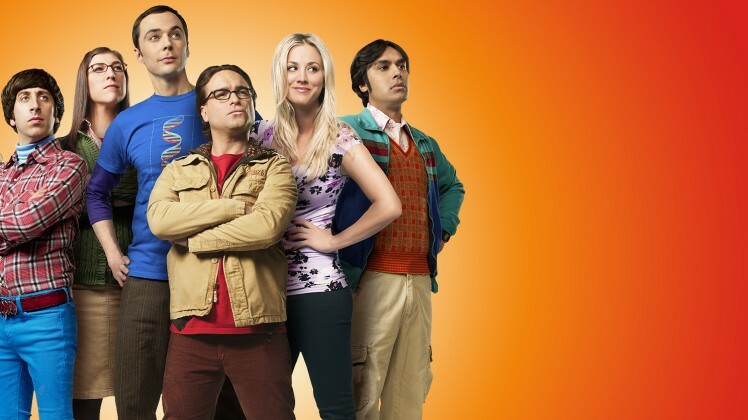 However, the character, and the show, is successful because we can see ourselves (and others) in it, and because that identification makes us laugh – entering “The Big Bang Theory” into an internet search engine now brings up the show before the actual theory. While I am not a fan, I am aware that making a show about people previously described as “nerds” and “geeks” into a worldwide hit is simple: compare the type of people most of us don’t know, with those we do. Add in the usual American sitcom production line, writers’ room, big-budget salaries and promotion, and it continues to work – if “nerd culture” is now cool, it’s because the most popular sitcom is full of them. In the UK, we have a dearth of sitcoms – if we had a golden age, it was probably over by the turn of the century. Dramas are the narrative order of the day on primetime TV, from multiple episodes of soap operas to sumptuous feature-length stories. If you can work in a bit of humour, fine, but nothing that will alienate too many people: ITV’s current sitcoms “Benidorm” and “Birds of a Feather” are, for me, a bit too broad in humour, but while “Birds of a Feather” is your standard three-set, three-character set-up, in front of a studio audience, “Benidorm” is an hour-long serial with multiple characters coming in and out, just like the dramas they also show, because it is what works most often for them. With the potential of any story to become a drama, especially when they are usually an hour long on television, the half-hour standard for sitcoms usually mean generalising – shorter, quicker stories, dropped in and wrapped up in a flash, with a moral to take away at the end. Characters can be generalised, as I managed with “The Big Bang Theory.” To cap it all, if your comedy is not to everyone’s taste, or too broad, or too obscure, or not explained properly, few people will be interested in watching again – better to be safe with a drama, where you can concentrate on just the story. 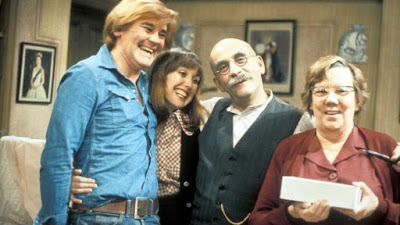 “Till Death Us Do Part,” remade in the US as “All in the Family,” could easily have been a kitchen-sink drama of a patriarch spouting his racist, sexist, xenophobic views over his family but, in inviting the audience to laugh at Alf Garnett, some found a friend, instead of an enemy, and the context became lost – in “All in the Family,” Archie Bunker, unlike Garnett, became mellower as time went on. 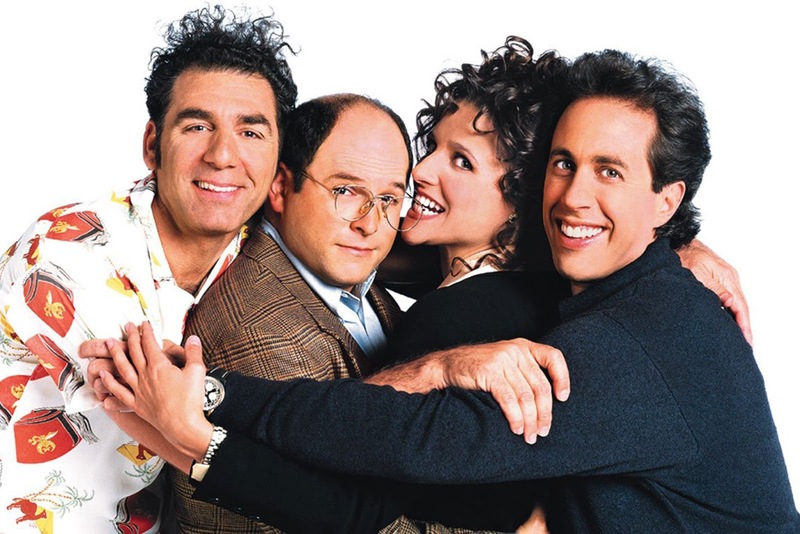 For the record, my favourite sitcom is an American one, “Seinfeld,” eschewing conventions by having bizarre, inconsequential storylines, characters that varied from strange to downright monstrous, and “no hugs, no learning.” It is considered to be the best of them all, continuously shown and studied twenty years after it ended, but when the best has already been made, what do you do now?